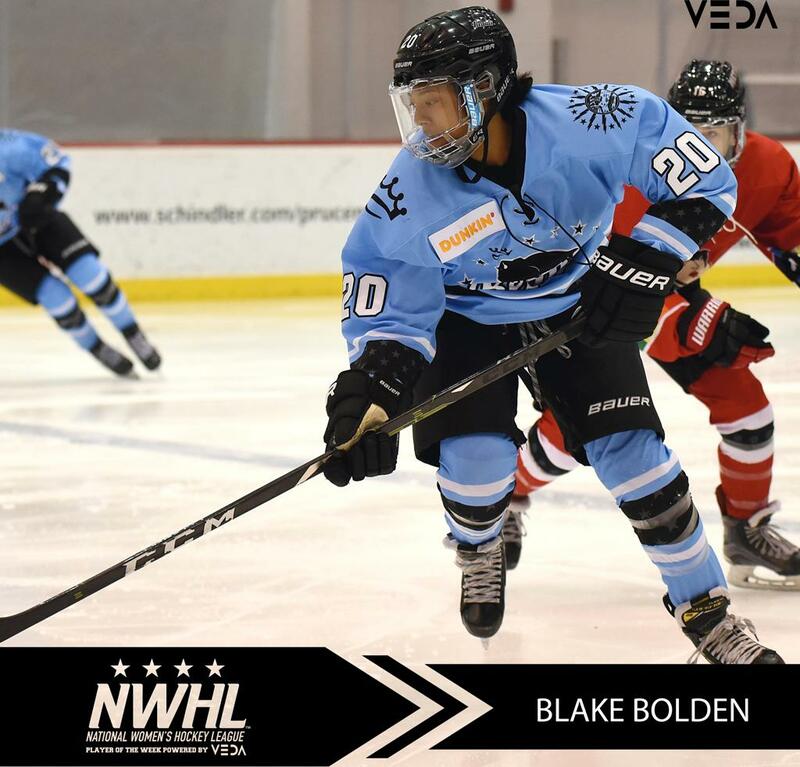 Defender Blake Bolden of the Buffalo Beauts and forward Denisa Krizova of the Boston Pride have been named the co-recipients of the VEDA NWHL Player of the Week Award. Bolden had two assists in Buffalo’s 3-2 win in New Jersey over the Riveters. In addition to getting on the scoresheet, Bolden was dominant in every zone during the victory. "I am honored to be named the NWHL Player of the Week to represent our Beauts D core," Bolden said. "It was such an important road win for our team to pick up over the weekend. Defensively we are continuing to grow into a strong group and each game we are feeling more comfortable with each other." This coming weekend, Bolden will be participating in NWHL All-Star Weekend in Nashville. In 2017, while a member of the Boston Pride, Bolden won the Hardest Shot competition. Although the lineups for the 2019 Skills Challenge on Saturday have yet to be unveiled, you can expect Bolden back in the Hardest Shot event. "Blake has been a reliable, positionally-sound defender all season for our team,” Buffalo GM and head coach Cody McCormick said. "Her poise on the blueline has been a big reason why our team has had so much success over the past few weeks. I am looking forward to watching how well she does at the NWHL All Star Game this weekend and especially the skills competition. I know she is definitely excited for that." Krizova had a goal and an assist in the Pride’s 3-1 victory over Connecticut on Saturday in front of a sold-out crowd at the team’s You Can Play Night at Warrior Ice Arena in Boston. Her goal just 1:20 into the game set the stage for the win. As usual, her line with captain Jillian Dempsey and rookie standout McKenna Brand was superb all night. 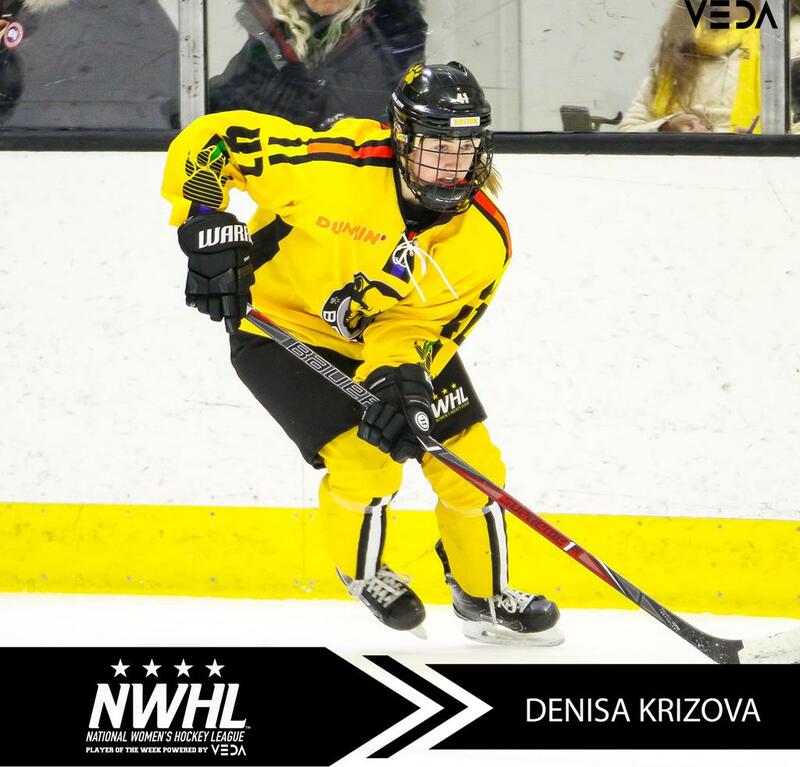 Behind the heroics of Krizova, Brand and Dempsey – the captain also had a goal and an assist – stingy team defense and the goaltending of all-star Katie Burt, the Pride improved to 9-4 with just three games left in the regular season.